Contribute to the many ministries and works of charity of the Archdiocese of Newark. Click here to make a contribution. 100% of your contribution goes to the good works & ministries of the Archdiocese. Be sure to designate Holy Trinity in Hackensack. Come with us to Northern Italy (Milan, Lake Como, Verona, Padua, Venice, San Marino) and the Adriatic Coast (Split, Medjugorje, Dubrovnik & Montenegro) this September 22-October 3. Details and registration form are attached. Click on Italy above. The interior of the church has not been painted in over 25 years. With the causes of water damage now addressed, we are ready to paint. The pews also need repair and refinishing and the floor tiles beneath the pews need to be replaced. 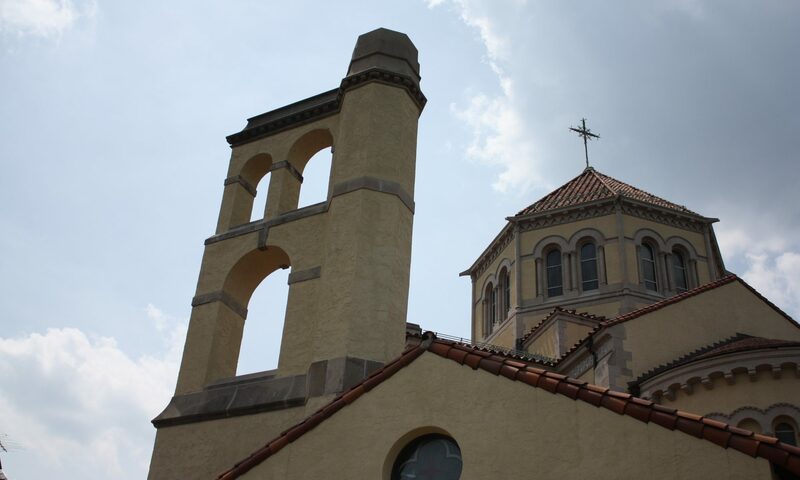 If you would like to make a donation towards this project to beautify Holy Trinity Church, please make a donation through PayPal by clicking on the Donate button to the right or sending a donation directly to the parish. We also offer Memorial Plaques for the pews for a donation of $2500 or more and in the Mother of the Americas Shrine for gifts of $1000 or more. Please inquire by speaking to Patti at 201-343-5170. We hope to begin renovations as early as next summer. Followed by all night adoration of the Blessed Sacrament.